Developing a framework for learning and evaluation with the program staff of the Astraea Lesbian Foundation for Justice. Research can be a powerful tool for individual and organizational learning - particularly when the purpose is clear, the inquiry is thoughtfully designed and executed, and the links to action and practice are clear to everyone involved. As a consultant, I can design and undertake one-time inquiries or qualitative evaluations based on your learning priorities, or support you to develop systems and frameworks for ongoing learning, reflection, and evaluation. I am trained in qualitative research methods, as well as participatory process design and facilitation. Participatory program evaluation with the Mississippi Low-Income Childcare Initiative. Strategic communications audit for the CREA Institute. 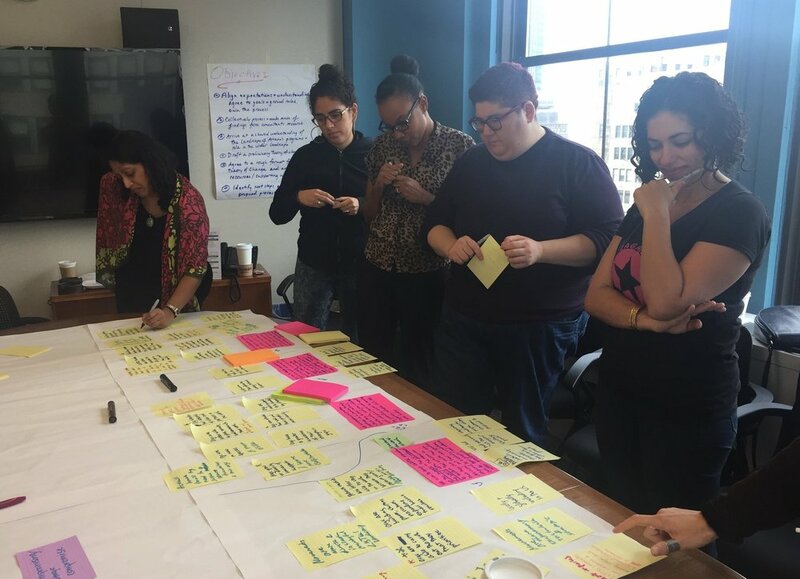 Landscape analysis of gender and reproductive justice work in the U.S. for the Gender, Racial, and Ethnic Justice program of the Ford Foundation. Development of a Theory of Change and a framework for ongoing learning and evaluation for the program team of the Astraea Lesbian Foundation for Justice, including an internal and external audit of Astraea's work, role, and niche. With co-consultant Katrina Anderson, an internal and external inquiry centered on how the world's two largest global women's funds, the Global Fund for Women and Mama Cash, can strengthen their support for and engagement with other women's funds.